As we recently reported on our Boston Drunk Driving Accident Lawyer Blog, the Governor of Massachusetts, Deval Patrick, is seeking to close a loophole in the state’s drunk driving law. The loophole used to allow repeat drunk driving offenders to refuse a breathalyzer during a traffic stop as a way to get a lesser sentence when charged in court. With no more loopholes, many are cheering on state lawmakers. The measure also has the support of Diageo, the world’s top spirits, wine and beer company. 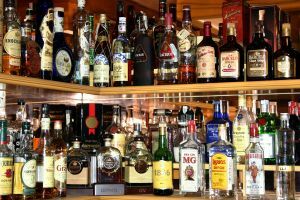 Liquor companies, bars and restaurants often support drunk-driving measures because of the associated liability that can occur in the event of an accident. It’s much the same reason cell phone companies have long-since quit calling their products “car phones,” and have come out in support of a number of distracted driving measures. In some cases, a bar or restaurant may even be held responsible for serving an intoxicated person who later causes an accident. Such cases are typically brought through Dram Shop litigation. Our Boston drunk driving accident attorneys understand the impact of these kinds of accidents. Not only do they continue to take the lives of more than 10,000 people every year, but they’re also costing the country billions of dollars. The biggest tragedy is that these kinds of accidents are completely preventable. All we do is ask residents to practice a little bit of responsibility when heading out. There are a multitude of options when it comes to avoiding driving when consuming alcohol. Still, almost 40 percent of all fatal accidents involve alcohol in one form or another, according to the United States Department of Transportation (USDOT). Representatives with Mothers Against Drunk Driving (MADD) report that Americans take nearly 250 billion trips in cars each and every year. It’s estimated that one out of every 2,000 trips are taken by a driver who is under the influence of alcohol, but more than a third of traffic fatalities involve a drunk driver. With that being said, a proportionally tiny amount of bad behavior is one of the top causes of death and injury on our roadways. As a matter of fact, someone is killed in a drunk driving accident every 52 minutes on average. About a third of all of the problems that arise from drunk driving is caused by repeat offenders, too. These problems include injuries, deaths, arrests and accidents. Currently, there are about 2 million people across the nation who have three or more drunk driving charges on their record. Still, nearly 75 percent of them who have had their license suspended or revoked still continue to drive. Our drunk driving laws may be a little stronger now, with the closure of a state loophole, but that doesn’t mean we want authorities to rest easy. During the summer travel season, when there are more motorists out there on our roadways, we’re asking you to keep safety as a number one priority. One of the most beneficial safety tips we can provide you is to avoid drinking and driving! It’s such a simple step that can save lives! The Law Offices of Jeffrey S. Glassman, LLC represents those injured or killed in an accident with drunk driver in the state of Massachusetts. Call us today at 1-888-367-2900 to discuss your case through a free and confidential consultation.